Taking your dog out for a walk is one of the best things you can do for them, as they love being active and playing outdoors. But if you want to start making your dog walks a little more memorable, or simply strengthen the bond with your four-legged friend, we suggest introducing a few games to make the most of open spaces. Start by being creative. Using sticks and stones, you can put together an obstacle course for your dog to enjoy. This can be done in local parks and gardens, providing the space is large enough. By helping your dog to complete these obstacle courses, you’ll teach obedience and increase trust over the long-term. Believe it or not, you can actually play a game of ‘Hide and Seek’ with your dog. Simply grab a handful of your dog’s favourite toys and hide them in different places in your back garden (again, providing there is enough space to do so). It’s important to ensure that your dog stays in the house while you hide the toys, as this makes the game more interesting for your pooch. When they find their toys, reward them with enthusiasm and few treats. ‘Tug-of-War’ and ‘Fetch’ are just some of the classic games that dogs tend to enjoy. 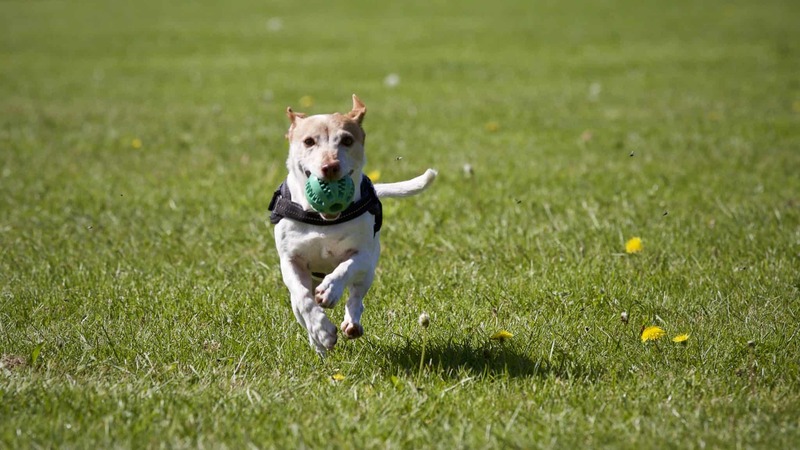 They’re especially good games for younger dogs who are energetic and like to run around. ‘Fetch’ is an excellent game to teach dogs obedience and maintain a good level of fitness. Plus, dogs never get tired of retrieving sticks or balls! Another game you can play with your dog is ‘Paw Basketball’. To play this, all you need is a basket and a tennis ball. The objective of the game is to teach your dog to retrieve the ball, before placing it in the basket. It can be made more challenging by hiding the ball and placing the basket at a safe height. Should your dog succeed, congratulate them enthusiastically and give them a small treat!